Partnered with Lloyds of London Underwriters, we provide our clients with business interruption insurance which covers your annual cost and commitments or annual revenue in the instance your Amazon account is suspended. 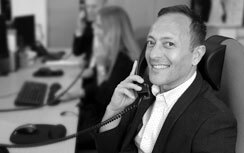 Grove & Dean work with an array of clients and we strive to understand the needs of a modern trading company. With online selling at an all time high, we are dedicated to sourcing a product to satisfy the insurance requirements of an Amazon seller. Our exclusive online product is available today and offers you peace of mind knowing that should your Amazon account be suspended, you are completely covered. At Grove & Dean we appreciate every business has different needs and can place cover on a monthly or annual basis offering effortless protection for vital cash flow from the date of suspension until reinstatement by Amazon. Our protection insurance is available for UK based companies as well as internationally trading businesses. Who is e-trade risk insurance for? E-trade risk insurance is for online sellers who accept the possibility of risks and issues associated to online selling activities on Amazon. As many self-employed business men and women use Amazon as their main source of income, it could be straining if their Amazon account was to be suspended. By purchasing E-Trade risk solutions it covers the client’s annual costs and annual revenue. What can trigger your Amazon account to be suspended?